Lakeside enjoyment – with all of your senses. Looking for a lakeside holiday? For tranquillity and experiences, great food and irrepressible joie de vivre? Our beautiful 4-star superior RITZENHOF HOTEL UND SPA AM SEE in Saalfelden Leogang should fit the bill! Experience wellbeing from the moment you arrive. Enjoy private access to the lake, the delights of our sophisticated SPA, excellent cuisine and stylish rooms and suites during your wellness holiday at the RITZENHOF HOTEL UND SPA AM SEE. 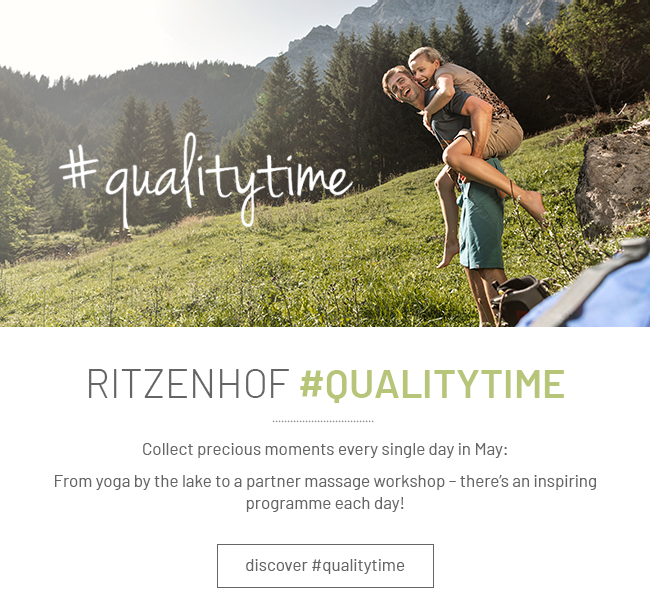 Developed just for our hotel, we are passionate about the ALPINE HOLISTIC® concept for relaxed holiday enjoyment. This Alpine lifestyle philosophy reflects our attention to detail and was created to help you enjoy your holiday with all your senses. It underpins everything we do and every aspect of our service through ALPINE CUISINE, ALPINE WELLNESS and ALPINE FITNESS. Choose one of our attractively priced special offers for an unforgettable holiday in Saalfelden: enjoy relaxing days of wellness, family highlights, sports and culinary delights on a summer holiday in the Saalfelden Leogang region or experience the thrill of the slopes in the award-winning Skicircus Saalbach-Hinterglemm-Leogang-Fieberbrunn and Ski amadé Hochkönig ski resorts. Plus an additional bonus, free of charge! 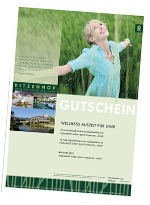 Since opening at the end of 2010, the Ritzenhof has received several prestigious awards, demonstrating that we are on the right track! The Riedlsperger family and everyone at the hotel would like to thank our guests and partners for their confidence and trust.